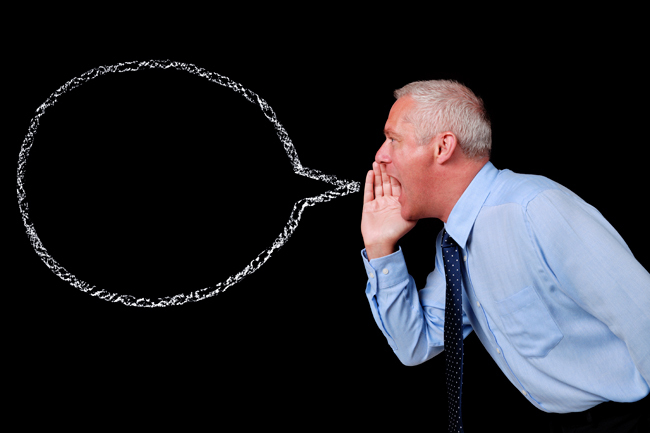 Few communication tools are as versatile as our voice. With it we convey facts and feelings; we create art and build bridges between people. Voices can soothe us or warn us, inspire us or teach us. Just listening to a person’s intonations will tell us whether they are happy, sad or completely indifferent. Accents give us clues as to a person’s cultural background and exact part of the world from which they hail. The foundation of civilization is cooperation and one of the cornerstones of that foundation is communication. Without voice where would we be as people and as a society? “The really surprising thing is, as important as our voice is in our day-to-day lives, it is often overlooked,” says Larissa Der, a second-year Communication Sciences and Disorders student. Der is one of the organizers of two public vocal screening events to be held on April 1 and April 2. The April 1 event will be held in the lobby of the Education Building (3700 rue McTavish) from 11 a.m. to 2 p.m. The April 2 screenings will take place in the lobby of the Strathcona Music Building (555 Sherbrooke Street West) from 11:30 a.m. to 3:30 p.m. But Der is quick to point out that voice problems are not exclusive to teachers and singers, which is why the free screenings are open to everyone. In addition to the screening, Speech-Language Pathology students will be dispensing much-needed information on vocal health from a kiosk. “We really want to raise awareness to how your day-to-day choices can impact your voice,” says Der. People who use their voices a lot, or someone who is about to deliver a lengthy speech or lecture, should always do some simple warm up exercises beforehand. “Just like you should warm up your muscles before you run or do a workout, you should do the same for your voice,” says Der, noting doing a vocal glide from your lowest pitch to your highest pitch and down again, is a great way to prepare your vocal apparatus. The voice screening sessions are a part of McGill’s World Voice Day activities, including a vocal workshop that will be held on April 2. On April 17, the University will host a seminar that features an number of voice experts including a laryngologist, a speech pathologist, singing professors and research scientists, The panel will explain the causes, risk factors and treatment for injured voice commonly seen in singers, teachers or other voice professionals. The experts will also answer questions about voice from audience. There will be a real patient case presentation and panel discussion, singing styles demo and scientific updates on innovative voice and music research at McGill. Admission is free for both events but seats are limited. Go here for more information and to register.